Months of police action against Vietnamese dissidents has led to at least 12 people being locked up across the country. The crackdown comes ahead of a regional summit in Da Nang in November set to include leaders from throughout the Pacific region. 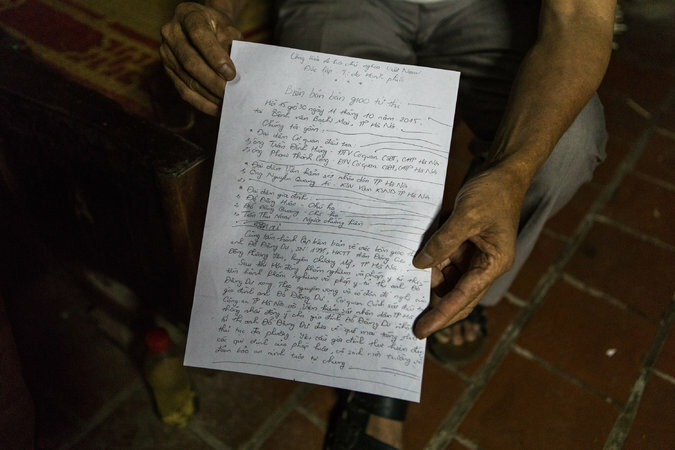 Hanoi (dpa) – Nguyen Viet Hung is unsure how to help his son. Police reportedly arrested Nguyen Viet Dung, 31, in his northern Vietnamese hometown on September 27 at lunchtime. Since then, neither his family nor a lawyer have been able to see him. He was accused of “propagating” against the state, a charge that carries up to 20 years in prison. “Dung has followed his way, so sooner or later he would have been arrested. When he was arrested, I was not surprised or shocked but I was very angry,” Hung said in a phone interview from his home in Nghe An province. Dung’s story is not unique. At least 12 political dissidents have been arrested, charged or convicted of anti-state crimes since June in one of Vietnam’s most intense crackdowns on dissent in years. Another dissident, who had been a dual French-Vietnamese national, had his citizenship revoked and was deported to Paris. Vietnam, which is ruled by a single party communist state, bans dissent, criminalizes opposition parties and imprisons pro-democracy activists. Pham Doan Trang, a former journalist for Vietnam’s state-controlled press who is now a rights activist, said the situation for the dissident movement appears bleak. “The security forces will not stop and they won’t refrain from violence either. So these years will be very dark for Vietnam,” she said. Anti-government activists, who primarily spread their messages via social media, take on causes ranging from environmentalism to Vietnamese sovereignty in the disputed South China Sea. 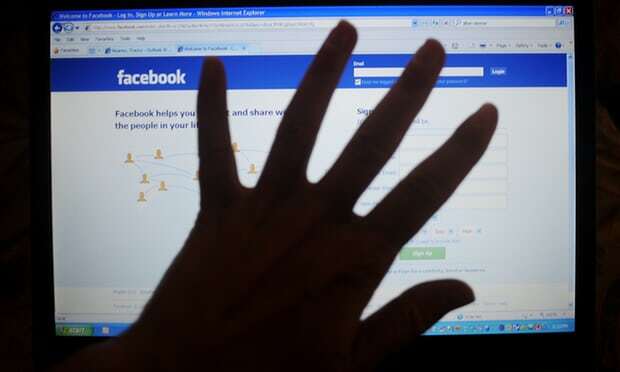 “It appears that the Vietnam government feels threatened by more concerted and organized campaigns … and the increasing influence of internet communications that enable people to organize in new ways,” said Phil Robertson, deputy Asia director for the New York-based Human Rights Watch. Dung established an unrecognized Republican Party and a group called the Loyalist Association of the Army of the Republic of Vietnam, both references to the old US-allied Saigon regime that the communists defeated in the Vietnam War. He posted pictures of himself dressed in military uniforms alongside the old South Vietnamese flag, a symbol considered taboo in modern Vietnam. Dung’s father described him as a man who was active in his community by helping those in need. “He assisted people to build schools and roads, and helped families who were having difficulties, but the government thinks he incited people,” his father said. Quang A, a retired economist and businessman who is now one of Vietnam’s most prominent pro-democracy activists, says depending on what you show support for, you can be targeted for dissent. “If you raise your voice to support the old system, then maybe they see that you are more dangerous than the others,” said Quang A. 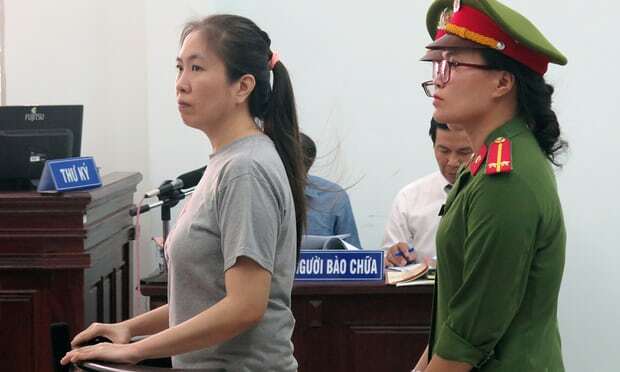 Other political prisoners, such as Nguyen Ngoc Nhu Quynh, also known by her pen name Mother Mushroom, were arrested for their criticism of the Communist Party in the Vietnamese blogosphere. According to Carl Thayer, Emeritus Professor at The University of New South Wales and a Vietnam expert, the government could be initiating crackdowns in anticipation of November’s Asia-Pacific Economic Cooperation (APEC) summit in the coastal city of Da Nang. The meeting is set to include leaders from throughout the Pacific region as well as US President Donald Trump. With all eyes focused on Vietnam, the government wants to ensure that activists do not use the occasion to draw attention to their causes. “The timing of the arrests and trials indicates the [government] is taking pre-emptive action far in advance of the APEC summit to intimidate other would-be activists from making public protests on the internet or in street demonstrations,” Thayer said. He also pointed out that activists tried to use the 2006 APEC conference in Hanoi to gain attention from world leaders and media. 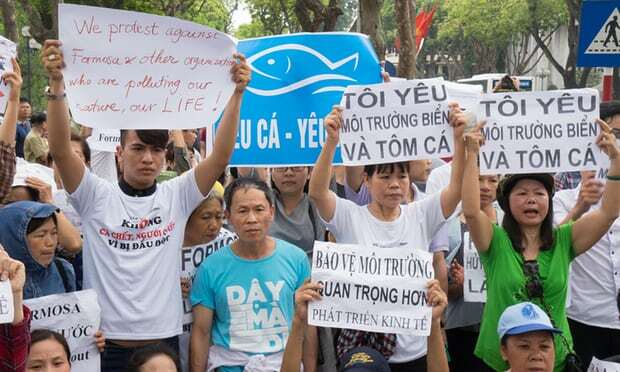 Quang A says that while the current government’s crackdown has been dramatic, it has not deterred committed activists from carrying on their work. 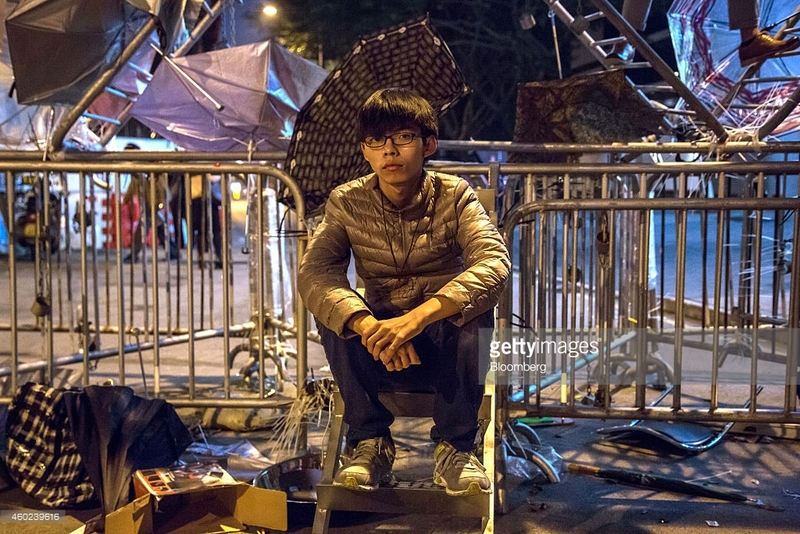 “If you are to become a member for the struggle, for democracy, or human rights, you have to face all the consequences, and I think for those activists who have been detained, they aren’t scared of anything,” he said. “Sure, with such tough measures, they can incite some fear in people, but you see that is a temporary sentiment,” he added. Former journalist Pham Doan Trang believes “there will be light at the end of the tunnel” for Vietnam, despite the current rights challenges affecting the country for the foreseeable future. “It’s just a matter of time, and we must try to live to tell the tale,” she said. Ho Thi Chau, 25, was left alone and blacklisted after her husband was returned to jail for “attempting to overthrow the [Vietnamese] government” last week. An activist from the north central province of Nghe An, Nguyen Van Oai was arrested on 18 September on charges of violating the conditions of his 2015 release from prison. 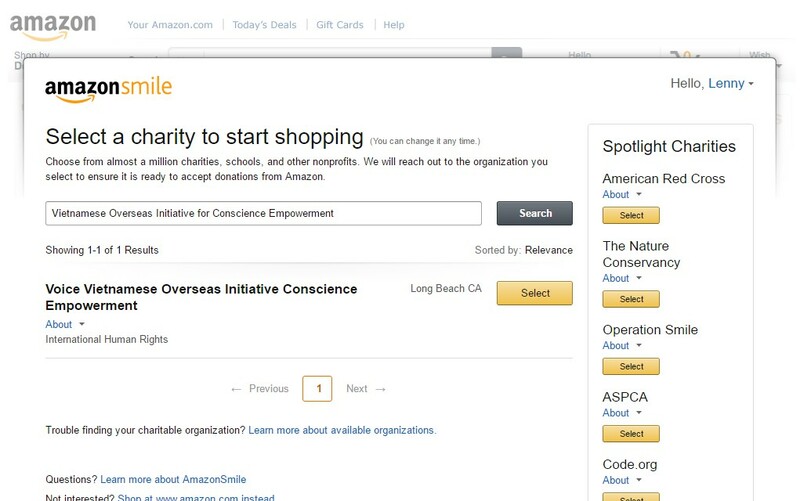 Oai, an anti-government dissident, is a citizen journalist and co-founder of the Association of Catholic Former Prisoners of Conscience. Following his conviction, he will serve a five-year prison sentence plus four years of house arrest. Chau, a former garment factory worker, does not know how to support their newborn daughter. As she is the wife of a man branded a “reactionary” by Vietnam’s single party communist state, employers are reluctant to hire her. “When we were preparing for our wedding I was sacked because of our engagement and they didn’t hire me any more,” she said. Vietnam’s summer has been particularly harsh for dissidents, with at least 11 having been arrested, charged or convicted, while another was stripped of his citizenship and deported to France. Human Rights Watch has described it as an “all-out effort” to clamp down on criticism, while Amnesty International has expressed fears that imprisoned dissidents are being tortured. The US embassy and EU delegation in Hanoi have repeatedly expressed their alarm. Those who remain out of prison ponder if they will be the next detained. Mai Khoi, a former pop star who was banished from the Vietnamese music industry when she began expressing pro-democracy views in 2016, was surprised on 22 July when dozens of police arrived at her private show in Hanoi’s Tay Ho district. The authorities had a complaint: the studio hosting Khoi did not have a permit for the show and it must be stopped. 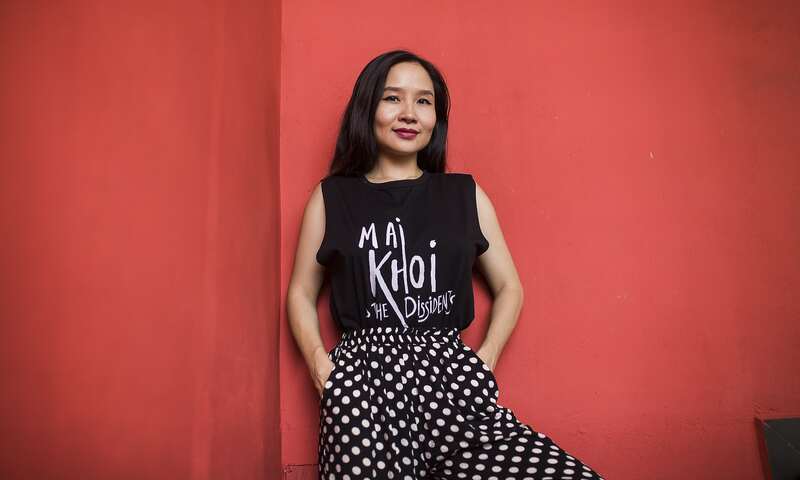 While no one was arrested, Khoi, whose band Mai Khoi and the Dissidents have lyrics peppered with criticisms of the government, was evicted the next day by her landlord, who told her he was breaking the lease due to police pressure. Since the raid Khoi has been forced to stop playing her shows, which fuse traditional Vietnamese music with American-style blues. She is now living in a secret location in Hanoi in a flat leased under a friend’s name as she tries to work out her next move. “It doesn’t really scare me, because I have my way of living in a difficult situation,” said Khoi. “Ai Weiwei was in jail and he’s still doing his thing,” she added, referring to the Chinese visual artist turned dissident who spent 81 days in jail in 2011 for alleged economic crimes. While Khoi remains free, members of the Brotherhood for Democracy, a loose association of anti-government activists that exists primarily in cyberspace, have born the brunt of the crackdown. Nguyen Thi Kim Thanh said she was with her husband, Truong Minh Duc, when he was abruptly snatched off the street the morning of 30 July. He is accused of being a member of the Brotherhood, though his wife said she has no knowledge of his participation. While driving to a pharmacy to buy heart medication, Duc, vice-president of the unregistered Free Viet Labour Federation – which advocates for workers’ rights in the absence of independent unions in Vietnam – was pulled over along with Thanh. He was thrown into a car and transported to Hanoi, where he is being detained on charges of attempting to overthrow the government. Thanh denies her husband is guilty, adding he merely criticised government policy. “He was just helping workers who were experiencing unjust behaviour,” she said, adding she worried that Duc, who has a history of heart attacks, won’t survive his incarceration. Three other activists who were arrested separately across the country on the same day also received the same charge along with human rights lawyer and Brotherhood for Democracy founder Nguyen Van Dai, who has been in prison since 2015 awaiting trial, and his colleague Le Thu Ha. If found guilty they could face the death penalty. “We prepare inside our minds for arrest, and talk to our family members, and I ask for advice from former prisoners of conscience about the life inside the prison,” said Nguyen Tuong Thuy, the 65-year-old vice-chairman of the Independent Journalist Association and a Brotherhood member. Nguyen Thuy Hanh, a 54-year-old member who works as a public relations manger for an Indian company, said most of the group’s key functionaries were arrested in July. “It’s the biggest challenge we’ve had since the birth of the Brotherhood for Democracy in 2013 until now,” she said. While the Brotherhood for Democracy has no formal membership roll, it boasts almost 37,000 followers on Facebook. 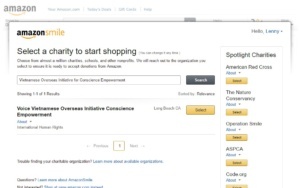 Causes represented by its members range from environmental activism to anti-China nationalism. But while the Brotherhood has been hit the hardest by the crackdown, targets have included activists from across the spectrum of Vietnamese dissidence. Some, such as Nguyen Ngoc Nhu Quynh, the activist also known as Mother Mushroom who was sentenced to 10 years’ imprisonment in June, were prominent bloggers, while others, including Oai, were members of the Viet Tan, a banned self-described political party based in California. 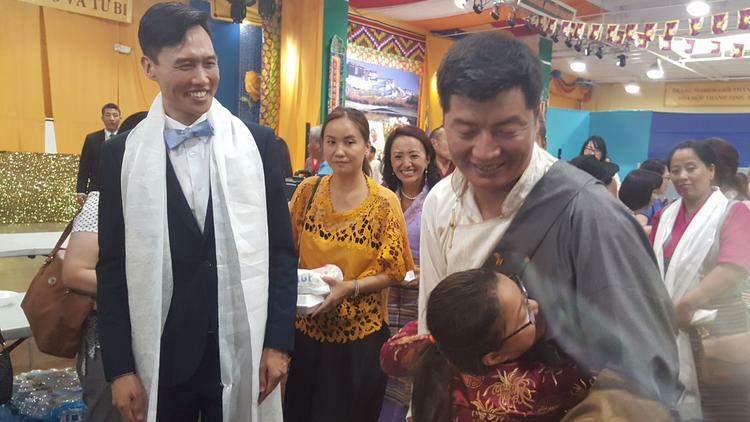 Khoi, who avoids formal associations and public concerts, said the police will have a hard time building a legal case against her. She added, however, that it would not take much for her to be imprisoned. “If I want to be in jail for two days or three days, I’d just go into the street and sing my songs,” she said. CARACAS, Venezuela — I write this from my cell in the dungeons of the Venezuelan secret police. I’m 32 and I’ve been a democratic activist for 12 years. I have two children, 8 and 5, who are my sun and moon. I have a wife whom I love and who now has to carry the burden of being married to a political prisoner. One year ago, while I was going to speak at a news conference on behalf of the Popular Will political party, of which I am a member, I was intercepted by 10 or 15 undercover secret police vehicles. A couple of dozen armed agents tied my hands and covered my head with a black cloth. They transported me to the prison from which I now write, where I was locked in a cell without light or natural ventilation. When I stretched my arms, I could touch two opposite walls. The door was blocked with black garbage bags, leaving the room in total darkness. There was rotten, worm-infested food on the floor alongside scraps of clothing covered in feces. It felt as if I had been buried alive. I was denied any communication with the outside world and could speak with my lawyers only when I was taken to court. After 10 days, I was transferred to an administrative office inside the jail, where for the next seven months I slept on a mat on the floor. I have finally been moved to a cell with a bed, though one with no windows. I can see the sun only one hour a week. Scarcely five years ago, I was studying for a master’s degree at Columbia University. Back then, I strolled with my family through the Morningside Heights neighborhood in Manhattan and hoped that one day I would use everything I had learned to rebuild my country. But for me, as for so many other Venezuelans, political imprisonment has been the punishment for daring to dream of a democratic society, free of Communism and open to the global community. We just want what so many other people around the world take for granted: free elections, good governance, free expression, judicial independence, personal security and a modicum of economic liberty — something not even the Chinese Communist Party denies its citizens anymore. I’m not the only one who thinks this way; the other 1,048 political prisoners and most Venezuelans share my dream. But an armed minority has managed to impose a regime of fear, corruption and blood. My case is evidence of that. Last October, a court granted me parole — but my jailers ignored that order. Three months ago, the prosecutor in my case closed the investigation, establishing that I was not guilty of any crimes (I had faced trumped-up charges of possession of explosives). This means that there are no active judicial proceedings against me — I’m simply being held hostage in violation of the Constitution. The United Nations, the Inter-American Court of Human Rights, Human Rights Watch and Amnesty International have all described my detention as arbitrary and called for my release. But I know I’m here for a just cause. My sacrifice and that of others like me will change millions of lives. Today, 93 percent of Venezuelans cannot afford food. Because of food shortages that are the fault of our corrupt and brutal government, nearly three-quarters of Venezuelans say they have lost on average about 17 pounds in the past year. A health minister was fired for releasing his department’s annual report, revealing that infant mortality has returned to 1950 levels. I can’t imagine the despair of thousands of patients with cancer and other diseases who are in constant pain in hospitals that lack medicines. I don’t want to think of a father’s horror when his baby dies from a fever or diarrhea that could easily have been treated if he had access to medicine. I’m in prison so that this stops happening. That conviction gives me strength. My generation has made freedom its goal. I want to ask the people of the United States and the world to stand by our side. I ask the news media to report on what is being censored in Venezuela. 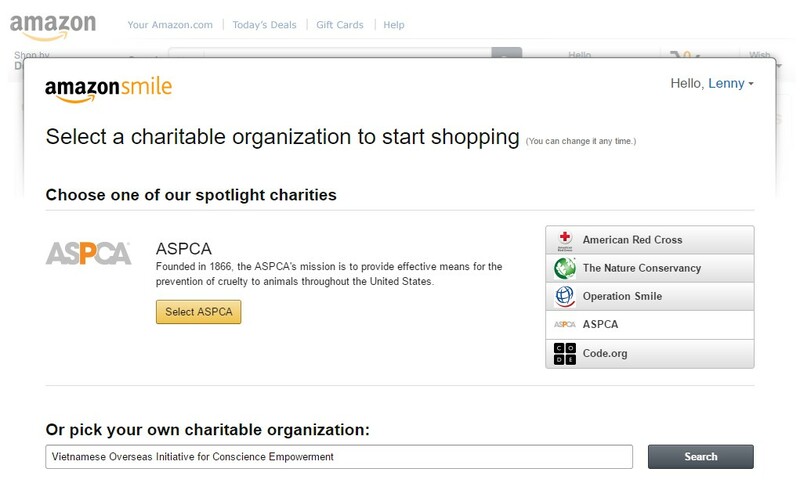 I ask the nongovernmental organizations and human rights groups to keep denouncing abuses. And I ask investors to understand that no profits from doing business with a bankrupt government will surpass the benefits to come when Venezuela is once again operating in world markets. We in the Venezuelan opposition have three main challenges right now. 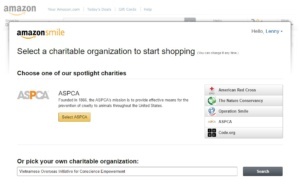 The first is overcoming the humanitarian crisis caused by shortages of food and medicine. The second is restoring democracy through peaceful means and avoiding civil war. The third is opening our economy to the world. We aren’t asking anyone to solve our problems for us. We have taken responsibility for our country’s future. But Washington’s influence could either help us speed up the process or give some breathing room. The White House, together with the rest of the international community, has the capacity to pressure for negotiation and a peaceful transition to democracy. We are grateful for the support that the people of Europe, Latin and North America have shown; I only dare to ask for one more thing: resolve. As for me, I’ll do everything in my power to keep resisting in prison. I’ll keep dreaming of going home to sleep in a clean bed surrounded by my family. I’ll keep dreaming of the day in which we all take to the streets to celebrate our freedom. HANOI, Vietnam — Do Thi Mai said she was shocked to learn that her 17-year-old son, Do Dang Du, had fallen into a coma in prison a few weeks after he was arrested, accused by the police of stealing about $90. The police initially said that Mr. Du’s severe head and leg wounds had been caused by falls in the bathroom, according to a family lawyer. “He was unconscious, so I couldn’t ask him,” Ms. Mai said. Mr. Du died in the hospital a few days later, in October 2015, and members of his family told an interviewer that they believed he had been tortured in custody. The next month, two of their lawyers were assaulted outside the family home by what the lawyers said were eight masked men. Vietnam has been slowly updating its criminal justice system for years, under pressure from Western governments, and additional changes approved by the National Assembly in June are scheduled to take effect in January. But diplomats and rights groups have long suspected, based on interviews with former inmates and reports in Vietnam’s state-run news media, that prisons in the country have high rates of executions, forced labor and deaths in custody. A recent government report on Vietnam’s prison system — which was posted on an official website a few months ago, possibly by accident, according to rights activists — appears to confirm many of the activists’ worst fears. In one section, the report said 429 prisoners had been executed from August 2013 to June 2016, a rare admission from a one-party government that has long kept its execution process opaque. According to Amnesty International, that means Vietnam had the world’s third-highest execution rate over that period, after China and Iran. Another section, referring to the period from 2011 to 2016, said 261,840 inmates had received vocational training, a term that rights activists say essentially means forced labor. In addition, the report said, the remains or ashes of 2,812 prisoners were approved for collection by family members, suggesting a high rate of deaths in custody for a prison population that the government says numbers less than 150,000. 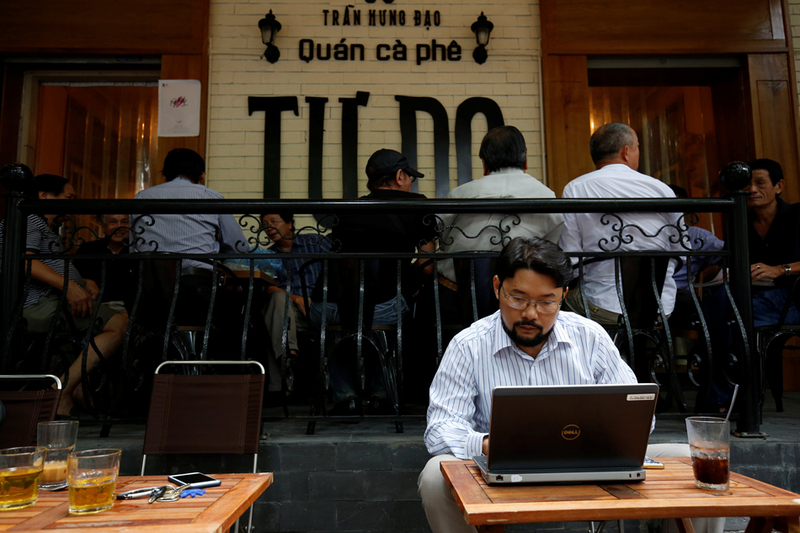 The statistics “give us reason to doubt that governance is becoming less authoritarian and violent as Vietnam transitions to a market economy,” said Benjamin Swanton, a longtime social justice advocate and development consultant in Vietnam. Vietnam’s Foreign Ministry did not respond to emailed questions about conditions in Vietnamese prisons. Many officials in Vietnam’s ruling Communist Party support changes to the criminal justice system, said Pip Nicholson, a professor at Melbourne Law School in Australia who specializes in Vietnamese law. But party officials who advocate for Western-style rules, such as truly independent courts or the presumption of innocence until proved guilty, she added, are in the minority. The result, policy experts and rights advocates say, is a court system where arrests almost always lead to convictions and a prison system where human rights are an afterthought. Corruption, impunity and violence in prisons are mostly tolerated, these advocates say, because the system serves the party’s interests by silencing dissidents and enriching prison guards. “It’s very easy to die there,” said Doan Trang, an independent journalist in Hanoi who has written extensively about state-led repression in the country. The recent government report presented prison statistics as part of a long-term process of changes in line with global trends. It noted, for example, that the number of crimes punishable by death in Vietnam had fallen to 22 in 2009 from 45 in 1993. The report also said, however, that the number of people on death row in Vietnam had climbed to 681 last year from 336 in 2011, and that the government planned to build five new execution centers to accommodate demand. The global trend is a reduction in the use of the death penalty, said Janice Beanland, a campaigner at Amnesty International. “This is why it’s a bit shocking to us to learn that, in actual fact, Vietnam has been executing people more regularly than we believed,” she said. The government report said that Vietnam had improved vocational education in prisons and that inmates received training in tasks like sewing, construction, carpentry, mechanics, farming and the processing of agricultural products. But former prisoners and human rights groups say that such labor is usually not voluntary, and that the cashews, garments and other products are exported from prison workshops for a profit. Doan Huy Chuong, a labor rights activist who was released in February after a seven-year prison term, said it was common for prisoners to rise at 6 a.m. and do manual labor, without pay, until anywhere from 3 p.m. to 7 p.m. Prisoners with money can bribe their way into hospitals if they fall ill, he said. “Without money, if they have a fever, they still have to work,” he added. Rights advocates said they were especially worried about the government report’s claim that the remains and ashes of 2,812 prisoners were approved for collection by family members. In a 2014 report, Human Rights Watch said that prisoners who died in custody were often being held for minor infractions and that the official explanations for their deaths “strained credulity and gave the appearance of systematic cover-ups.” It quoted survivors as saying that police officers had sometimes beaten them to extract confessions for crimes that they denied committing. In the case of Mr. Du, the teenager who died in custody in 2015, police investigators said for months afterward that his head injury — an inchwide gash — had been caused when his cellmate kicked him on the top of his head, not by a fall in the shower as they initially said, according to Le Luan, one of the family’s lawyers. 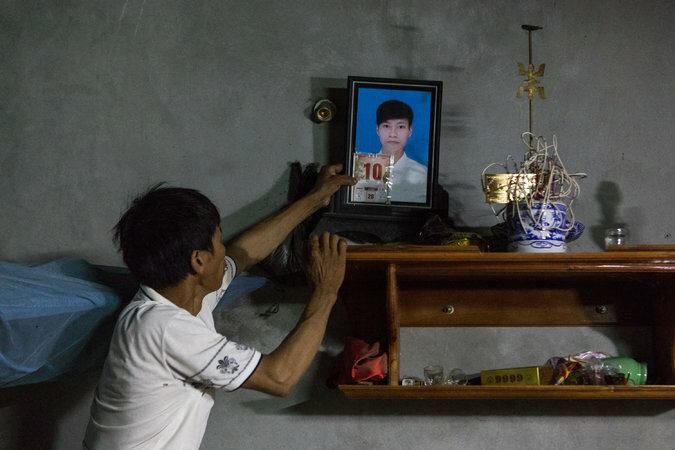 The cellmate, Vu Van Binh, was later sentenced to 10 years in jail for “deliberately inflicting injuries.” But Mr. Luan said in an interview that he believed the police explanation of Mr. Du’s death was littered with forensic inconsistencies. For example, he said, citing an X-ray he provided to The New York Times, the wound was on Mr. Du’s forehead, not the top of his head. It was also hard to imagine, he said, how Mr. Du’s severe leg injuries could have been caused by falling onto a toilet in the bathroom, as the authorities claimed. Members of Mr. Du’s extended family said in a separate interview that they were still not sure how he had died. The only certainty, they said, is that something about the official explanation does not add up. Australia and Vietnam held their 14th Annual Human Rights Dialogue in Canberra on 10 August 2017. The two sides engaged in robust and constructive dialogue discussing a wide range of human rights issues. Australia reiterated its recognition of Vietnam’s significant progress and achievements made in enhancing social and economic rights over recent decades, and the increasing recognition of the rights of LGBTI persons in Vietnam. Australia commended Vietnam on the passage of a law on religion in late 2016, which improves the regulatory environment for religious practice in Vietnam. Australia expressed concern regarding ongoing restrictions on civil and political rights, including freedom of expression, association and assembly. It reiterated its serious concerns about the harassment, arrest and detention of human rights activists. Australia raised particular cases of concern. Australia recognised the challenges and high levels of disadvantage faced by Indigenous Australians, including the high proportion of Indigenous Australians in custody. Australia outlined the policies and programs in place to address the intergenerational social disadvantage that Indigenous Australians face. The two sides discussed continuing legal reforms in Vietnam, including the Criminal Code, the Criminal Procedure Code and the Law on Associations. Australia again welcomed the imminent removal of the death penalty for seven crimes and encouraged Vietnam to move towards the abolition of the death penalty. Vietnam offered its advice as a former member of the Human Rights Council to Australia if successful in its candidacy for membership. Australia urged Vietnam to continue engaging with civil society in the lead-up to its next Universal Periodic Review in 2018. Australia encouraged Vietnam to issue a standing invitation to all Special Rapporteurs and encouraged Vietnam to accept another visit by the Special Rapporteur on Freedom of Religion and Belief. Australia urged Vietnam to establish an independent National Human Rights Institution in accordance with the Paris Principles. In the margins of the Dialogue, the Vietnamese delegation met a range of Australian organisations to learn about Australia’s own human rights challenges, and the valuable contributions a vibrant civil society can make in identifying and addressing these issues. These included local government and non-government organisations that support vulnerable groups, including LGBTI persons, women who have experienced domestic violence and homelessness, and Indigenous Australians. The head of the Australian delegation, Dr Lachlan Strahan, First Assistant Secretary, Multilateral Policy Division at the Department of Foreign Affairs and Trade, led NGO consultations before the dialogue and will debrief these organisations in the coming weeks. The Australian delegation also included the Chair and Deputy Chair of the Human Rights Sub-Committee of the Joint Standing Committee on Foreign Affairs, Defence and Trade, Hon Kevin Andrews MP and Dr Anne Aly MP; Australia’s Special Envoy for Human Rights, Hon Philip Ruddock MP; the Australian Human Rights Commission; and Australian government agencies. The Vietnamese delegation was led by Mr Vu Anh Quang, Director General of the International Organizations Department of the Vietnamese Ministry of Foreign Affairs of Vietnam and included officials from a range of other Vietnamese government ministries and agencies. The 15th round of the Human Rights Dialogue will be held in 2018 in Hanoi.